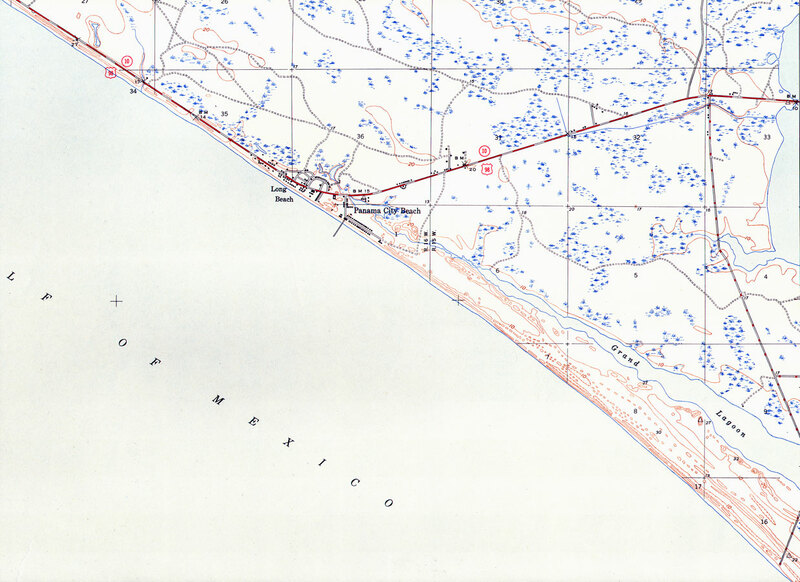 Description: A portion of the Panama City Beach Quadrangle showing details of the area around Panama City Beach, Florida. The map shows man-made structures such as State, primary, and secondary roads and residences, as well as the locations of survey bench markers. Natural features include rivers, bays, bayous, coastlines and wetlands. Contour lines are shown at 10-foot intervals. The map is from the USGS 7 1/2-minute series, with a map scale of 1:31,680. The Township/Range grid based on the Tallahassee baseline and meridian is shown.